You must make reservations at least 5 minutes in advance of the time at Bar Italia. Italian back ground music during the day. Soft and Lounge Music during the evening. Very refreshing, simple and Casual but yet Elegant offering Traditional Italian Fair. Located in the middle of it all on Madison between 65 and 66 streets. 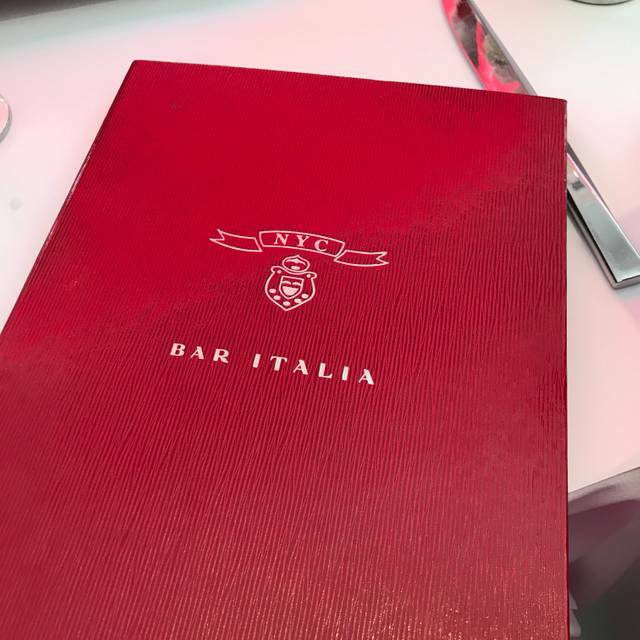 We had seven people in our party, all arriving at different times, and Bar Italia dealt with a difficult situation brilliantly. We all ate our main course at the same time. THANKS! I went with a person in a wheelchair and they were very accommodating and very helpful. Throughout the meal the waiters and the Maitre D were very attentive and present. The food was very good too and value for money is excellent for NYC. We had a perfectly lovely time having lunch here with our nephew. The food was delicious, the ambience was casually elegant, and the service was warm and friendly. We will be back. Great service. Great cocktails. Try the tequila martini. The Roman gnocchi special was fantastic, as was chicken special in mustard sauce with rice pilaf. Go for the affogatos for dessert. I have been eating at this restaurant for 10 years. I love eating lunch or dinner here. It is decorated in Italian film noir. They even play old black and white movies on a large TV screen in the back of the restaurant. People are dressed all over the spectrum here. Casual, high fashion, and old school sophisticated. Great for any occasion everyday, date, special occasion, business, to just meeting girlfriends. generous pour. Obviously where they make a lot of money and we felt taken advantage of. Food fine, quite good. If you don't drink, you'll probably enjoy an evening there a lot more. Overall the restaurant was good, but not up to the hype I’ve heard. The food was perfectly good, but nothing extraordinary. Service was spotty, although the owners couldn’t have been nicer in welcoming and thanking us for being there. It was pretty noisy with a big party going on in the back, but not so noisy as to restrict conversation. I thought it was pricey. What I would expect to pay for an extraordinary meal. I doubt I would go back or recommend. Love this place. I have since it opened. Best place to have a 5 hour brunch on the weekend!! Tasty but a little overcooked hamburger. Bustling place. Sometimes gets pretty noisy w overenthusiastic customers. Is Bar Italia overpriced NYC Italian? Maybe...But we had an awesome burrata appetizer that made the meal! Great Italian restaurant, even with gluten free food. Warm, hospitable and attentive. Cozy atmosphere with great food. Delicious food and great service. Suggested wine was perfect. We love it here. Service was great. Food was good. Lacked a bit of flavor. I love tiramisu but the piece was tiny and just too much money. I think the cocktail was 18 and the dessert 15 and that’s crazy!!!! Will go back but would rethink what we order. Neighborhood gem! 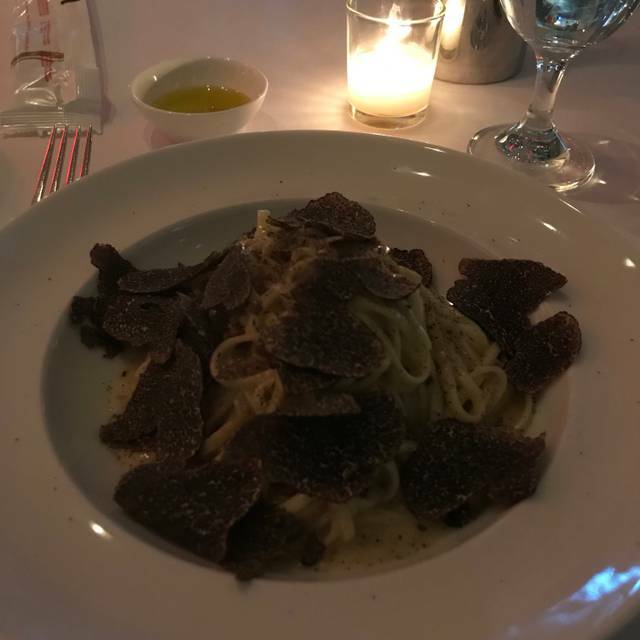 Always great Italian food, buzzing with a chic upper east side clientele. Always excellent. We had not been in a while, but it felt like coming home. Dennis sent out complimentary appetizers and breads and desserts. 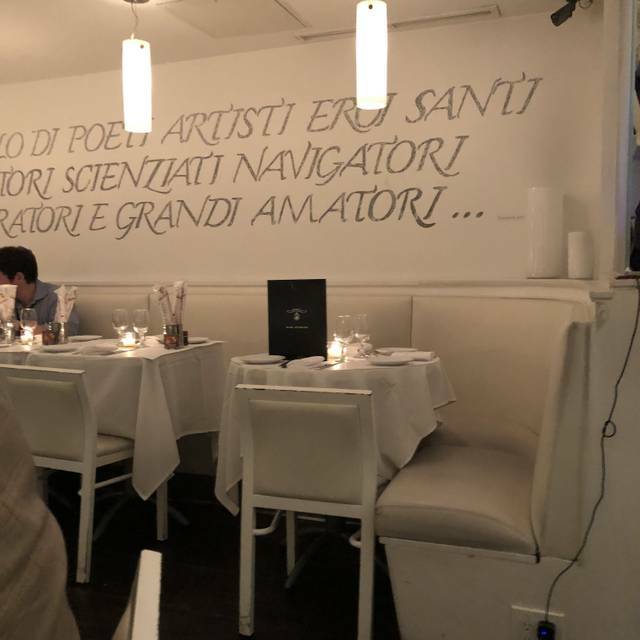 Service impeccable, best pastas in New York, "moscardini" with polenta were delicious. Came for Restaurant Week. First of all, i couldn’t believe there was no pasta dish on the Restaurant Week menu at an Italian restaurant. We had the salmon tartar as an appetizer. It was essentially a well seasoned mass of salmon chunks. 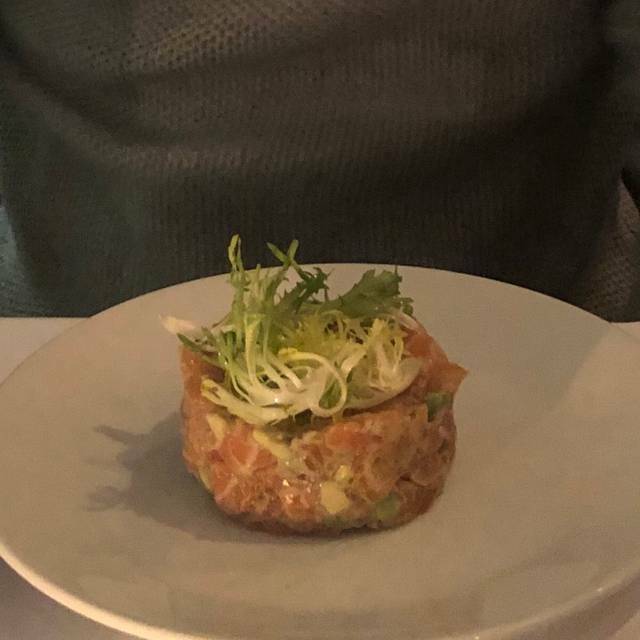 I’ve never had salmon tartar before so maybe that’s how it should be. 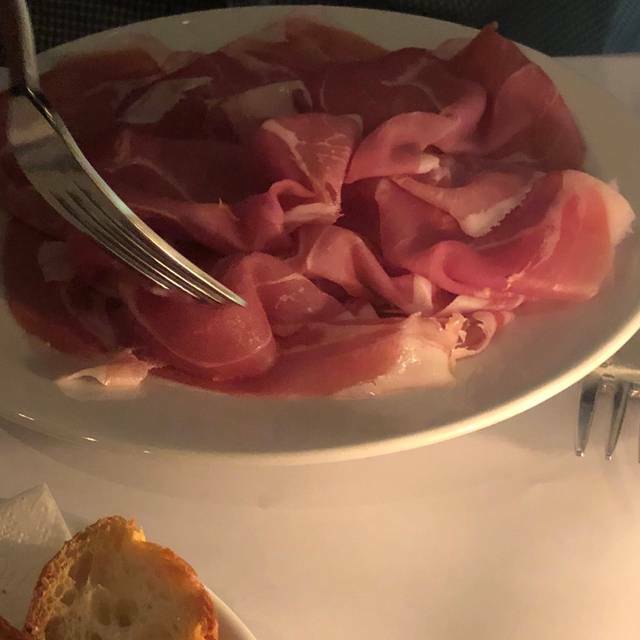 The waiter allowed me to replace it and i chose the prosciutto. It was literally just a plate of meat. Long story short, we hated it the appetizers. 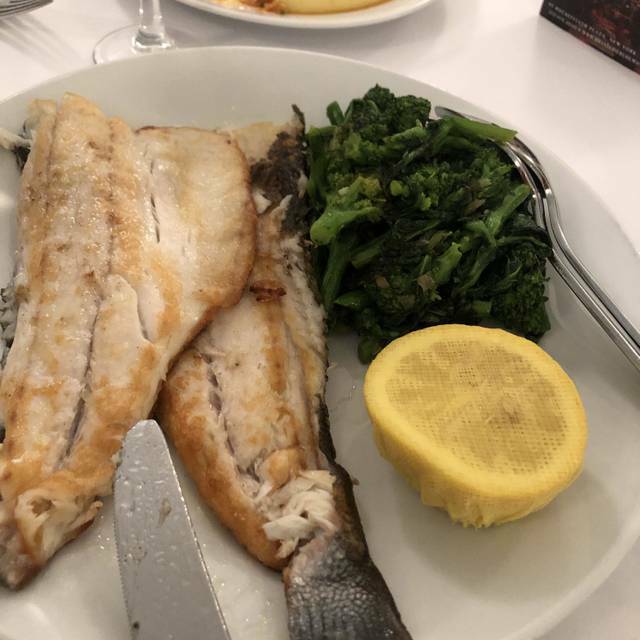 Next i had the Milanese and my husband the swordfish. 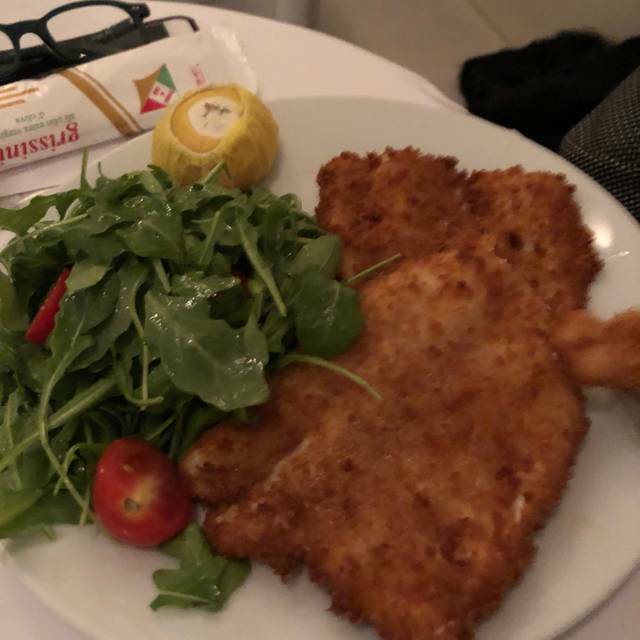 The Milanese was cooked extremely well but was bland. It was served with an arugula and tomato salad. Excellent if you like arugula. The swordfish was amazing. The best thing was desert. The gelato and tiramisu are fantastic. Overall the ambiance and service were wonderful. I’ve definitely had better Italian food for less though. 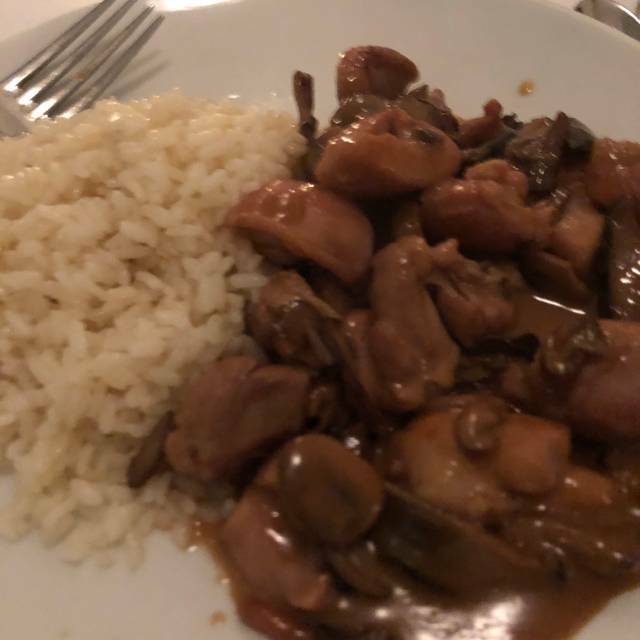 I had a business dinner at Cafe Italia and had been unsure of the choice as I had never been there before but it had received good reviews. I made an excellent choice of restaurants, my business associate and I both enjoyed our meals to the point there was nothing left on either of our plates. The staff was friendly and attentive to us, I have already recommended Cafe Italia to others and look forward to dining there again. We really like this place, they have a little tiny bar, but has very good service. Food is really good. Salmon tartare wonderful, and calcio e pepe,very good too. 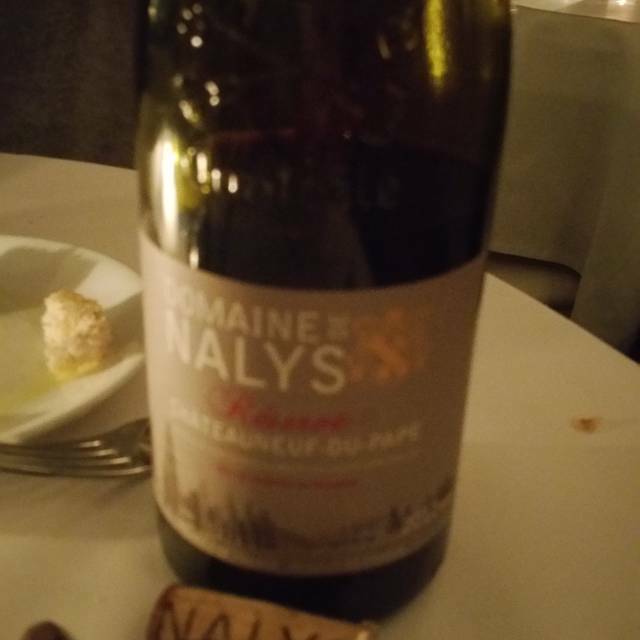 Wine list is excellent, we like the bread that ic like a cookie. The food was outstanding. Wines and champagnes too expensive. We arrived late and wanted something close to our hotel at Park and 61st. It's a short walk to the restaurant; we were seated and served immediately. My bolognese was delicious as we my husband's dishes. My only complaint was the $19 for three small scoops of gelato -- pretty outrageous. Otherwise good experience. Great restaurant with excellent food, although my plate was missing some salt. Great service! Amazing jewel on the UES. Don't pass up this little treasure. The food was sublime and the staff made you feel right at home! The food and service were both excellent. It was also very easy to carry on a conversation and enjoy the whole table of family. Awesome from the time we walked in door until we left. Go. Waiters are superb, make great recommendations, and anticipate what you need/want next. Great tequila martinis. Great Arneis. Great calamari, seared tuna, great buratta, great veal ragu. Great everything. Go. Wonderful spot. The Chef/Owner is amazing. Not just that he is a great chef who makes fantastic dishes, but also a wonderful human being who treats his guest as if they were eating in his home.